When the Mid Winter Deals were announced last week, a lady ventured into our Charing showroom, eager to take advantage of this deal. The natural wooden floor she had her heart set on - Prime Oak small plait, one of the design parquet patterns we do - would suit her plans for redecorating one of the larger "drawing rooms" in her property. The problem she encountered was an absent husband, who - as we all can guess - had to give his "approval" on the decision by at least having seen the large sample in our showroom too. His busy diary, specially during this busy "running up to Christmas rather quickly" period, did not seem to give him the opportunity to do so before the New Year, when the Mid Winter Deal would have been expired. We also received a phone call from a excited DIY-er who suddenly realised Christmas is only two weeks away. His problem: having promised "her who must be obeyed" - his expression, not ours - to have the new natural wooden floor sorted before the festivities started. That promise had been made 4 months ago, before he had started his various projects on the house, estimating he got plenty of time to have everything ready for the floor to be bought and installed way before then. And as we all know, projects do tend to fill up more time than originally estimated, so he is now running out of time and running out of excuses for the "misses". She'd study our Online Full Colour Natural Wooden Flooring Brochures for months now and knows exactly what wood-species and finish she wants, but her DIY husband still can't tell her which floor type (15 or 20mm) he prefers to have. That depends on some issues with the underfloor he has to sort out before that decision can be made. Could we help out? To keep in her good books, he has to show he's definitely "on the case" and hasn't forgotten his promise to her. Problem 3 - what products? An elderly dad, recently retired, called us also in regards of a problem, this time nothing to do with Christmas. His son had recently moved into a small council house and after ripping out the old carpets, he - helping his son with some decoration - had discovered an original mosaic floor in rather good nick underneath. 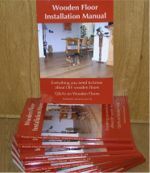 Searching the Internet had brought them to our "7 Easy Steps" guide to repair and restore any original parquet floor. Plans to do so are afoot and dad wants to be involved with the preparations for this, but does not know what products his son needs or wants. Dad is adamant he should at least contribute to the costs, since the move has already cost his son more than originally planned (as they do, Murphy's Law at work). If Mrs C, with her very busy husband, purchases the £250.00 Unique Gift Voucher for him before the end of this month, the Mid Winter Deal will extend till 31.01.2012 for them. That's a whole calender month longer to take advantage of these unique deals. Mr Z, fearing the wrath of his "Misses" can purchase any of the vouchers, which will be printed on quality paper and show her - leaving the Unique gift Voucher underneath the Christmas tree - he's definitely on the case. And Mr L's son would be very happy to receive an Unique Gift Voucher of £ 75.00 for the restoration materials of his own choice, which he can use when ordering the quality products in Wood You Like's secure online shop. Each has an Unique Voucher Reference and an Unique Code. The latter is a one-off discount code to be used in our online showroom. Each voucher keeps its value for 6 months after the date of issue, but is not redeemable against cash. The vouchers can either be printed on high quality paper and posted - mind the Christmas cut-off point of Royal Mail - or emailed as PDF file. Make someones Christmas even more special, gift them one of Wood You Like's Unique Gift Vouchers! Call 01233 - 713725 today or purchase the voucher(s) of your choice in our secure online shop now. Hurry, order before 20.12.11 1pm to have your voucher posted first class in time for Christmas!